Low angled climbing and tons of switchbacks. The Sinks Canyon climb is visible below. Nothing like a 30K climb closed to cars and all to yourself. Mid-height hairpin with with switchbacks looming above. Frye Lake at the summit of the climb. The pavement ends, but when the snow recedes the dirt road riding begins! No trip to Lander is complete without a stop at the Lander Bar for food and drinks! 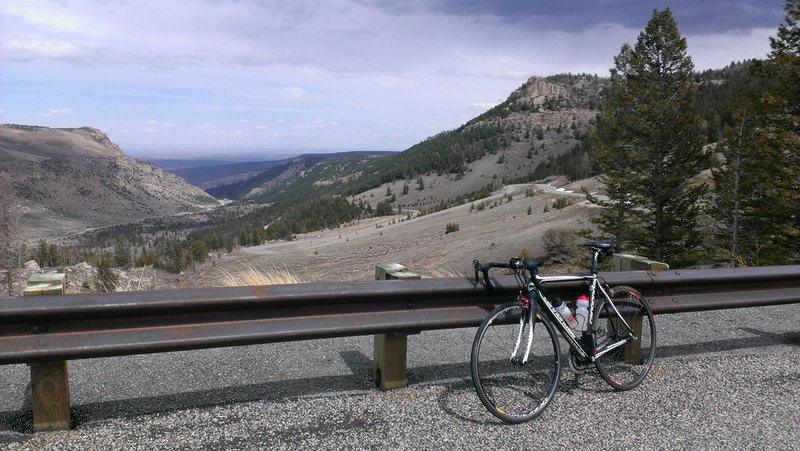 Three hours drive from Jackson lies the best kept secret in Wyoming cycling. Not only is Lander blessed with a mild and dry climate, but this small town is replete with outdoor recreational opportunities. Most people are well aware of the world class rock climbing Lander has, but fewer people know about the great riding available. And the cherry on top of that riding is undoubtedly the Louis Lake climb. This Euro-style climb has everything a rider could ask for: incredible views, over a dozen hairpin switchbacks, a gentle grade that never gets beyond 5% for long, great road surface, and best of all-- if you time it right, the climb is closed to cars. 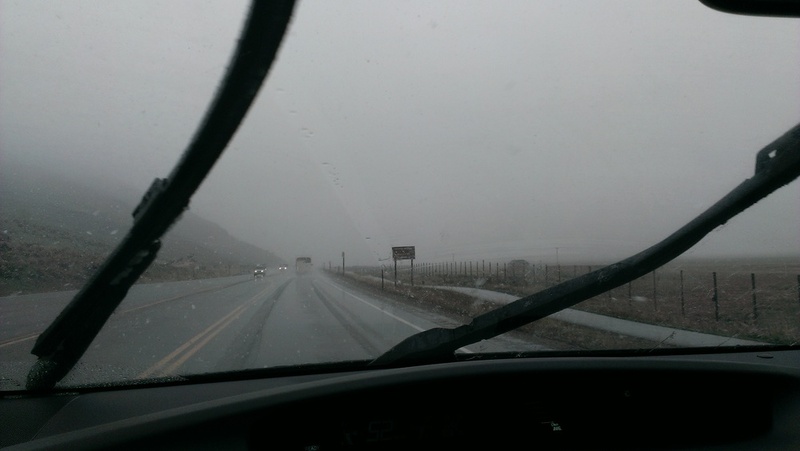 I recently made the drive to Lander for a training a day when the weather in Jackson was less than ideal. Driving out of town in a snowstorm just made the coming ride that much sweeter. There’s something about knowing that your friends are getting snowed on while you ride in shorts that makes your day that much better. Temps on Togwotee Pass were in the 20s, but as I dropped down to Dubois and beyond, I was greeted by sun and watched the thermometer climb into the 50s, and by the time I pulled into Safeway in Lander the mercury had climbed into the low 60s. Lander’s City Park is a great starting point for this ride. There you can find water, bathrooms and all day parking. Leaving the parking lot you’re greeted with a nice warm-up before the climbing begins. Thirty minutes of gentle uphill leads you through ranch land and into Sinks Canyon. It’s here that the road tilts upward, following the Popo Agie River, where the true climbing begins. Gauge your progress by the changing geology of the canyon as you ride along towering sandstone cliffs, limestone caves and finally granite boulders. At the top of Sinks Canyon you’ll reach the Louis Lake Road. 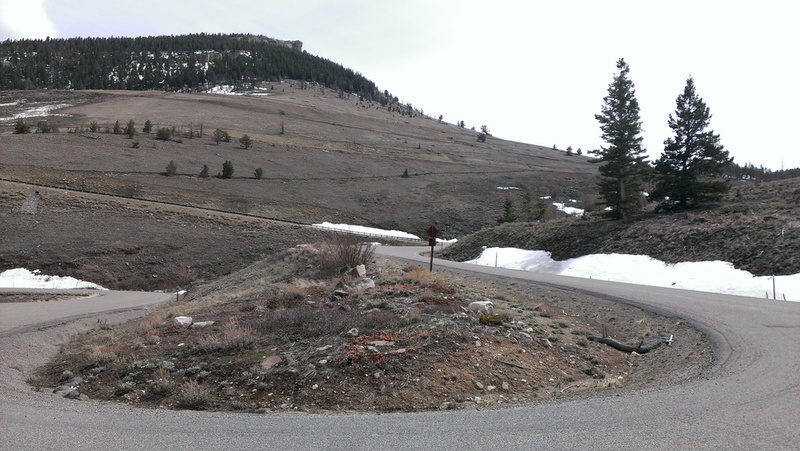 If you’ve come in the early season, before the road is open to cars, you’ll be greeted by a Road Closed gate. 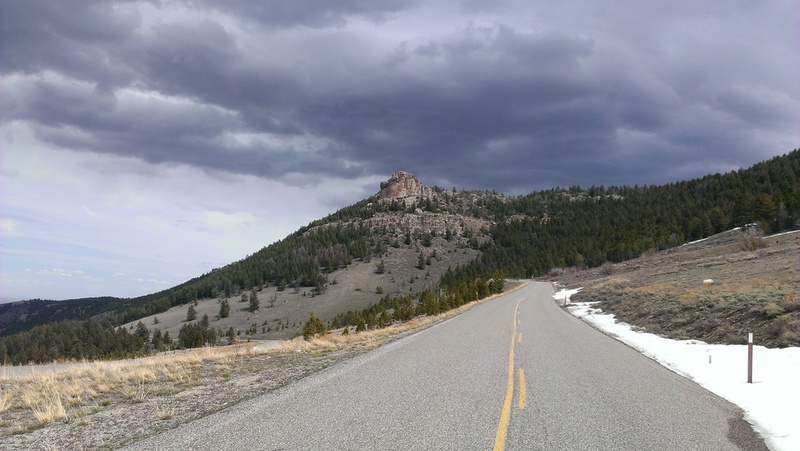 Proceed onward on the best road climb in Wyoming. From here, the climbing is best described as Euro. Almost a dozen switchbacks climb through wooded slopes and windswept fields at a civilized 4%. Once the summit is gained you can continue as far as road conditions allow. Early season you’ll be blocked here by snow and eventually mud, as the road turns to dirt. But later into the summer, you can ride good dirt roads past mountain lakes all the way to the highway leading back into Lander. This dirt road can be either quite good (easily doable on a road bike) or a bit "Wyoming" (cross bike or mountain bike preferred). Either way, this road/dirt ride has to be considered one of the best around and a must-do classic.